Not this time though. Since we visited in autumn, the high mountain trails were all closed. But we found other rewarding attractions, including quite some shorter, nice and easy hikes. Based on that here are our ideas for great day trips from Salzburg. But beware: these attractions can’t be visited during winter. They are usually open from mid-spring until mid-autumn, depending on weather conditions. (Who wants to do anything else than skiing in winter, anyway, right?) We visited them in October. 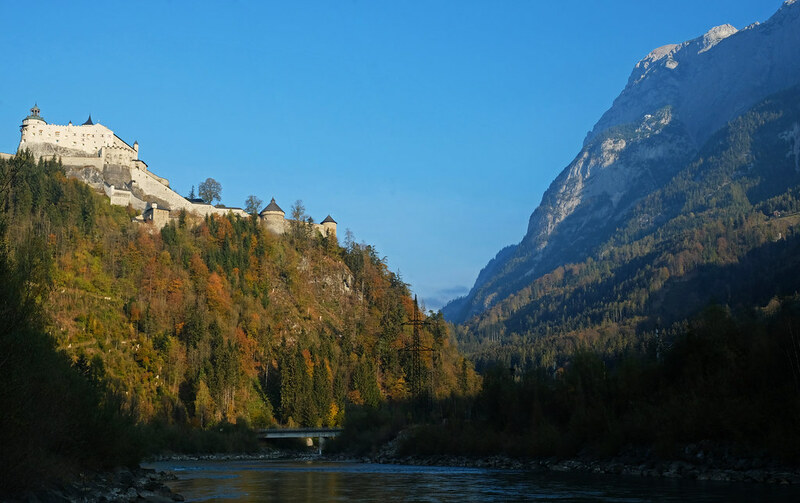 About 50 kilometres from Salzburg, surrounded by the Berchtesgaden Alps, one of the most picturesque castles of Austria can be found: Hohenwerfen Castle. This medieval rock castle was built on a 623 metres high rock, overlooking the town of Werfen and the Salzach Valley. We had a nice walk along the river (and we scared an old lady while we were searching for the best spot in the bushes to take a picture… uhm, embarrassing moments of a photographer 😀 ). Then we drove back to the castle’s parking lot to actually visit Hohenwerfen Castle. The castle is a sister of Salzburg’s famous Hohensalzburg Fortress. Both were built by the Archbishops of Salzburg in the 11th century. It served different purposes throughout the years – being a defense fortress, a residence, a hunting retreat or a prison. We could visit the interior with a guided tour that started from the courtyard. Unfortunately, a fire caused major damages to the interior, so barely any furniture is left to be seen today. However, we found the old clockworks amazing, and also the view from the clocktower! Our guide told us some interesting stories during the tour, and also some tragic ones. No human rights law protected the prisoners those times, and the sinister reputation of Hohenwerfen Castle had its reasons. After the guided tour we watched a falcon show. This is a unique attraction of this castle, but honestly, we expected it to be somewhat longer and more spectacular. The commentary was also too quiet and mostly only in German (I know, I know, I need to work on my German…). Views of the surrounding peaks of the Alps were spectacular from anywhere in the castle grounds though. We bought an early-bird all-inclusive ticket online. If you arrive to the entrance by 10 am, that’s your best option, too. But in any case, it’s cheaper if you buy it online. Also, beware that the castle is open for visit only from April to November. You can check the exact opening hours on their website. 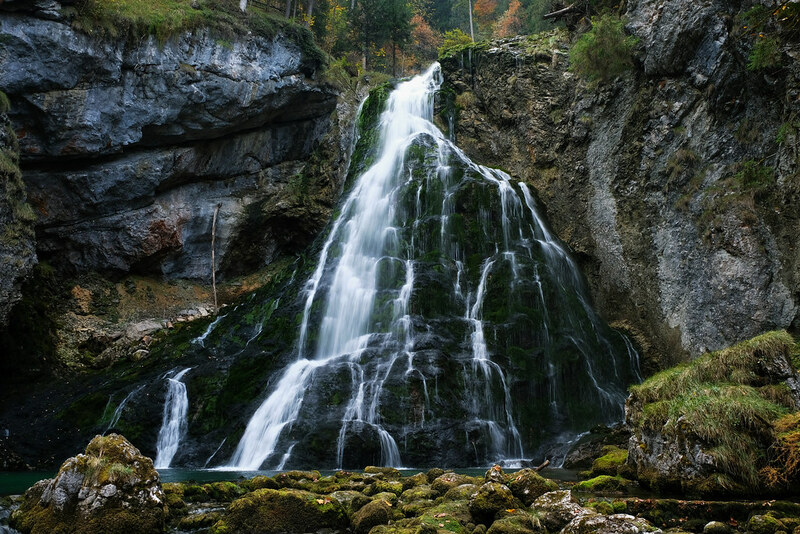 Golling Waterfall is less than 40 kilometres from Salzburg. 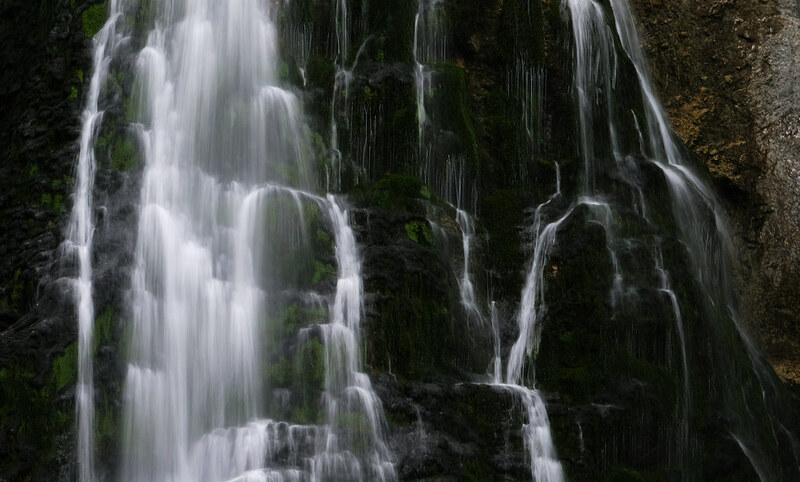 It’s 75 metres tall, and a clear emerald green pool under the falls makes the scene even prettier. We didn’t feel like dipping our toes into the water in the October chill, but we could enjoy the autumn colors of the forest instead. The trail starts in the designated parking lot in the small village of Golling. It’s hard to park elsewhere, anyway, since the streets in Golling are very narrow. The short trail from the parking lot to the waterfall runs along a lovely mountain stream, and the terrain is almost completely flat (not a wheelchair accessible route though). It took us about 5 minutes to reach Golling Waterfall. But the trail doesn’t end there, and it’s worth continuing your way up. This section gets a bit steeper, but the path is very well-maintained. And we were rewarded with more waterfalls and caves for climbing the steps. If you still want to hike further, several longer trails start in the forest, you can even do a full day hike to the nearest peak. We didn’t take any of these longer paths though. You need to buy a ticket to visit the waterfall. It was 2.50 EUR for an adult at the time of our visit (Oct 2018), and we could pay it in cash at the trailhead. The attraction is open for visit from the beginning of May until the end of October. 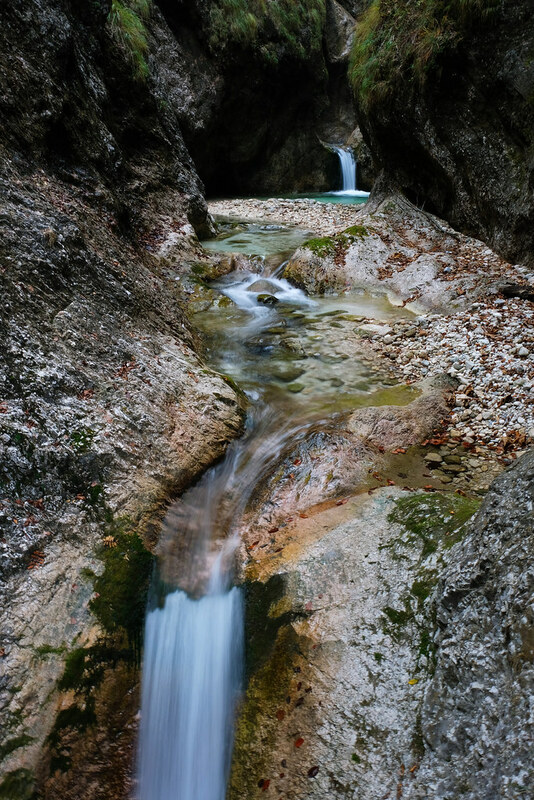 Almbachklamm is a 3 kilometres long gorge with countless iron stairs and bridges on your way up. Oh, countless waterfalls and crystal clear, turquoise pools, too! But he deeply cut george itself is a spectacular sight, anyway. We’ve already written a detailed post about this hike with lots of pictures – check it out here! 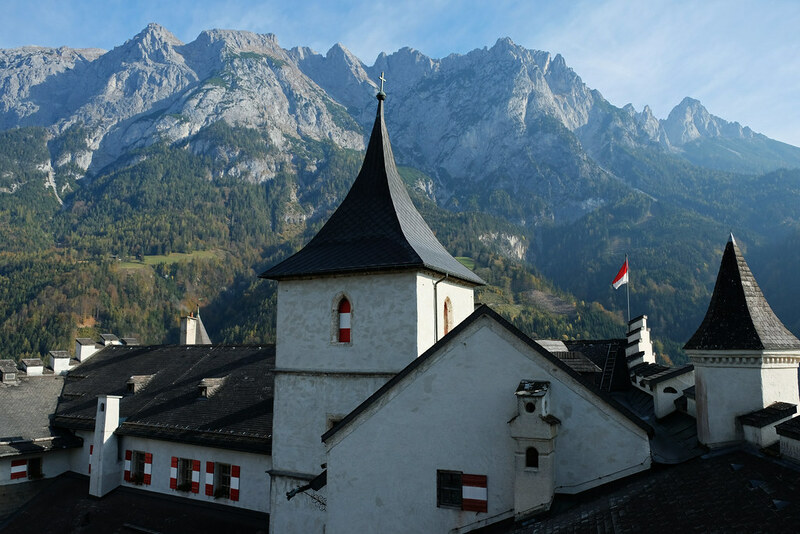 You can leave your car in one of the free parking lots at Marble mill (Kugelmühle) – just off the road between Berchtesgaden and Salzburg. Sings indicate the trailhead from there. There’s entrance fee to the gorge: it was 6 EUR at the time of our visit (Oct 2018). Just like a lot of natural attractions in the area, it’s usually open from the beginning of May until the end of October. It depends on weather conditions, too. 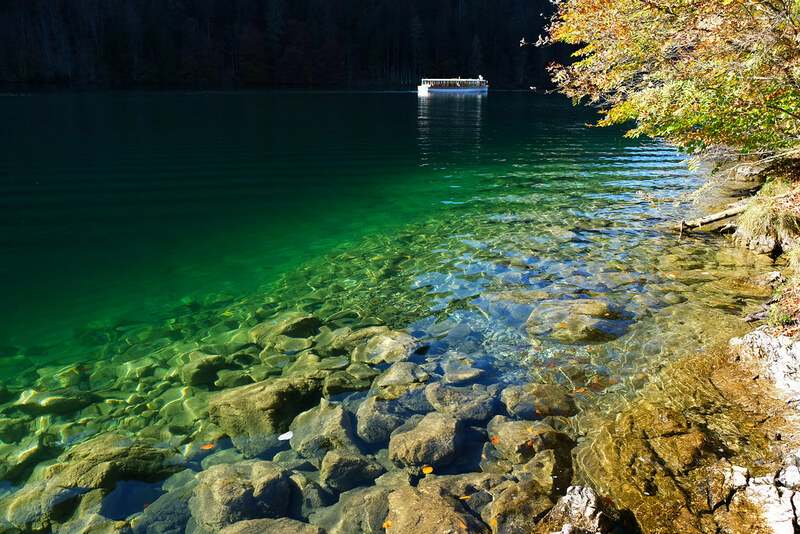 Only about 30 kilometres from Salzburg, you find Berchtesgaden National Park and its unique gem, Lake Königsee. (It’s in Germany, too, just so that you know.) 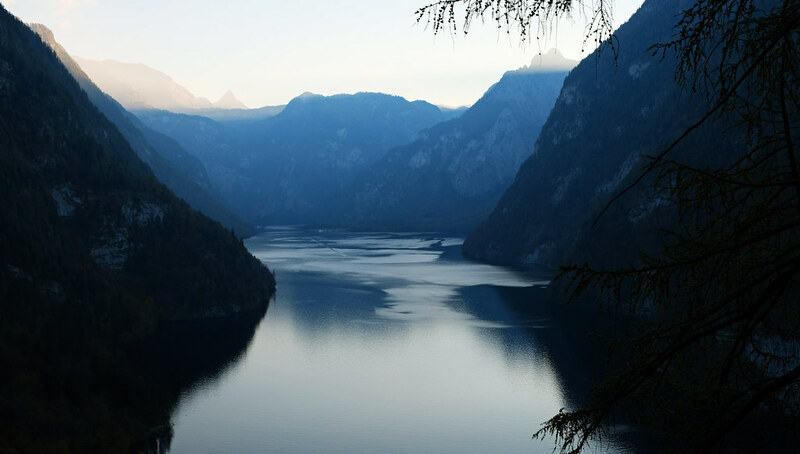 Königsee is said to be Germany’s version of a fjord. We’ve only seen fjords in Iceland so far, and haven’t seen “the” fjords in Norway yet, so we can’t judge appropriately here. 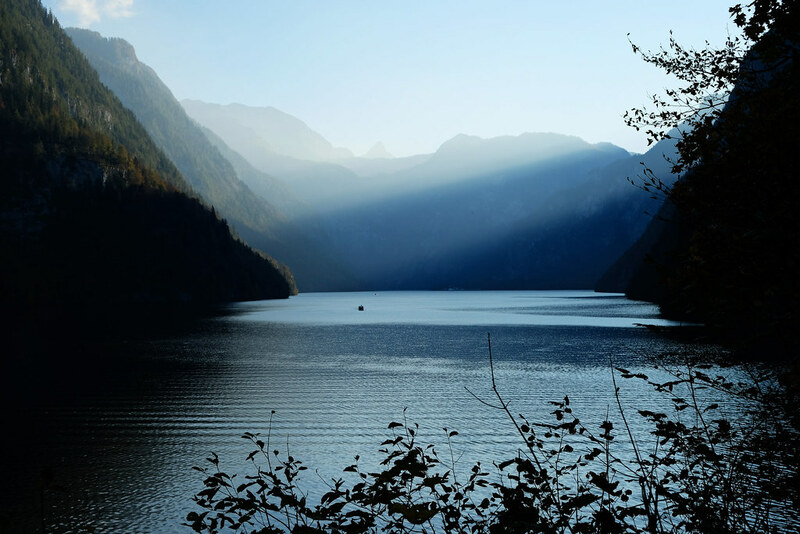 But one thing is for sure: Königsee is a beautiful, narrow and long alpine lake tucked between breathtaking mountain peaks. Königsee can be accessed by car at the village of Schönau am Königssee. Other parts of the lake can be reached by boat or on foot. There’s no hiking track around the lake though, because the terrain is very steep. 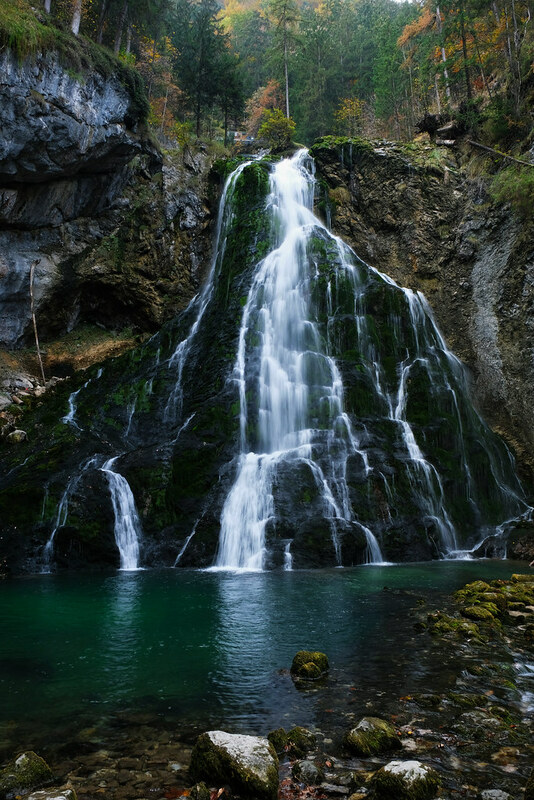 We took a walking track that starts from the harbor of Schönau am Königssee, and we even found a small waterfall hidden in the forest not far from the lakeshore. Boat schedule depends on the season, you have the most options if you visit in the summer. We skipped the boat trip though as boats were not very frequent in October, and we chose to do some hiking instead. 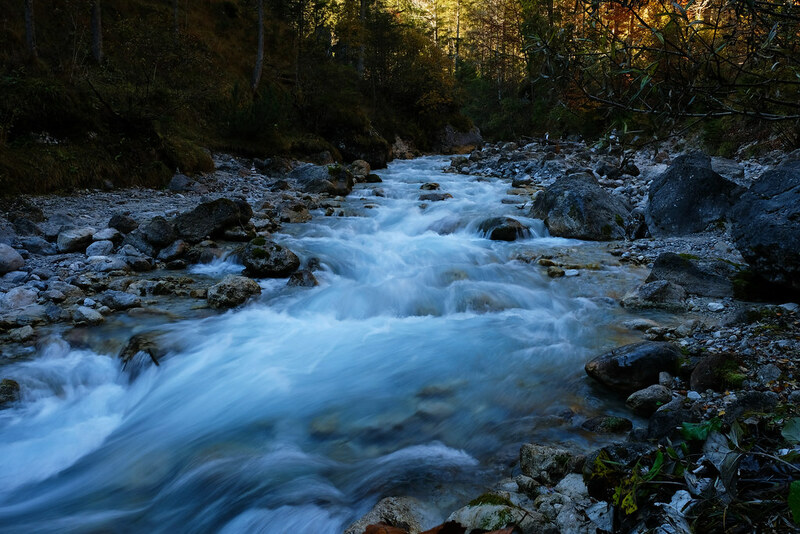 Being Germany’s only alpine national park, Berchtesgaden offers so much more than Königsee. 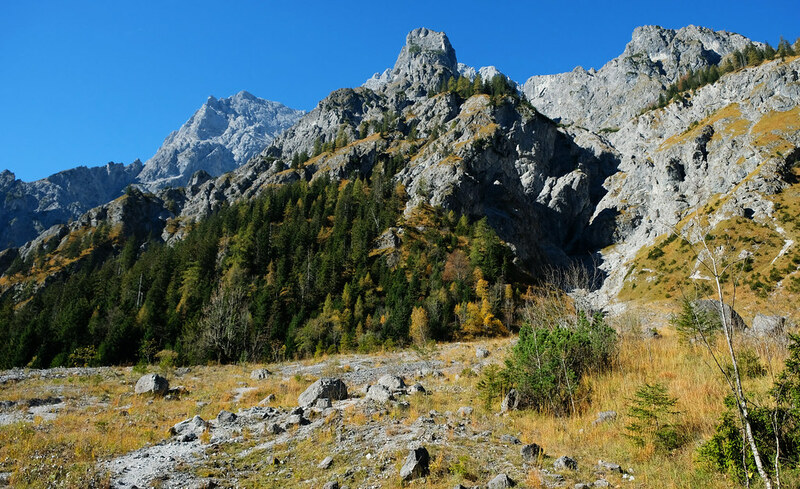 Stunning and strenuous high mountain trails are accessible only in the summer, but there are easier routes in the valleys that you could enjoy in spring or autumn, too. 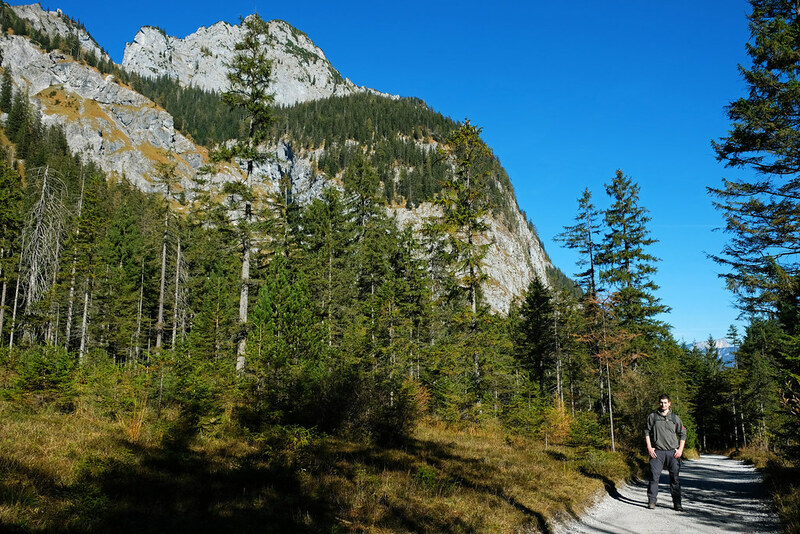 Visiting in October, we chose the hike in Wimbachtal. This trail runs in a lovely valley, it starts in the pine forest, but we climbed above the forest after a while. Peak views were astonishing from then on. We continued the hike a bit above Wimbachschloss (a guest house and restaurant on the way), because those were the best views! Altogether it was a nice 3 hours round-trip. Needless to say, we are eager to return and conquer some peaks in the summer there. All the parking lots we found in Berchtesgaden National Park were paid parkings. The parking machines operate with coins, but there’s an exchange machine at the largest parking lot in Schönau am Königssee (make sure not to have only 100 EUR banknotes though, it can’t handle that). Otherwise there’s no entrance fee to the national park. Boat tickets can be purchased on the spot. Finally, here’s a brochure with the most well-known hikes in Berchtesgaden National Park for each season and difficulty level.